Borish Dutta’s first performance was as a child artist at the age of seven and it was for Children audience Programme telecasted by Guwahati Doordarshan Kendra, 1999. Sangeet Natak Akademi in Guwahati organizes Nritya Parva. It was noteworthy mentioning that his dance has been staged consecutively in the rear 2009 and 2010. In the year 2012 Sattriya Kendra of Dudhnoi held Nritya Festival. Borish Dutta received special invitation to perform Sattriya Dance in the aforesaid programme. In 2013 it was his father’s birthplace, that called Borish Dutta. Samannay Sanskritik Mahotsava organized by Uttar Kamalabari Sattra of Majuli invited him to perform in their prestigious event. In 2014 Pragjyotish Dance Festival organized by KALPA in association with ICCR, Borish Dutta’s dance left a mesmerizing effect on the audience. Once again Nritya Parva remembered the talented artist. In the year 2014 Sangeet Natak Akademi in Guwahati staged his dance. Tarunkumar Fest (1st National Dance Drama & Ballet Festival at Manipur, 2014) enjoyed a wonderful live presentation by Borish Dutta. Poorva Uttar Rangotsav organized by National School of Drama at Bangalore & Hyderabad, 2014.The organizers suggested his name and there was no second thought in roping him in. Thus, Borish got a chance to entertain an audience in Bangalore. North East Festival at Shilpagram is a festival of cultural enthusiast of the North East. In 2014, Borish Dutta took the stage and left a spell bounding effect. Jajabor (A tribute to Bhupen Hazarika) at Mumbai NCPA Tata theatre, 2014 was an evening to remember for the Mumbai audience, where in Borish was honoured to be invited. Nritya Manjari (Male dance festival) organized by Sangeet Natak Academy at Guwahati, 2016. This festival has a special place in his performance diary. The same year he performed in the Nritya Festival Bhaona Mahotsav organized by Sangeet Natak Akademi in Guwahati had a different role for him to play. 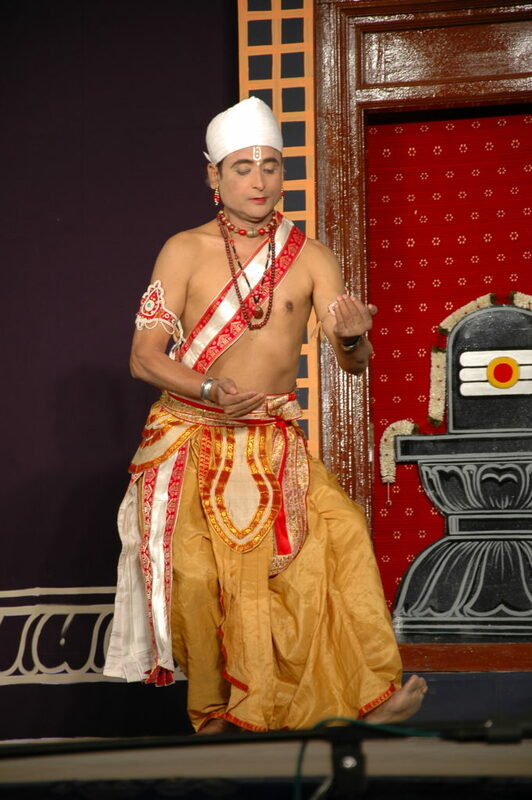 Borish was a part of Ram Bijon Bhaona, where he played the part of Laxman. Acted in mythological play “Chitrangada” in Guwahati, 2014. Chitrangada, a play by Aninash Dutta. Though Borish is not regular drama actor, his role was appreciated by all. Bharat Rang Mahotsav organized by National School of Drama at New Delhi, 2015. Ram Bijoy Bhaona organized by Asom Natya Sanmilan at Srimanta Sankaradeva Kalakshetra, Guwahati, 2016. Natya Samagam organized by Sangeet Natak Akademi at New Delhi, 2016. Bharat Naat Mahotsav organized by Sangeet Natak Akademi at Dibrugarh, 2016.